Over 150 years ago, new technology threatened newspapers to the brink of extinction. Sound familiar? In episode 5 of Trailblazers, Walter Isaacson follows the history of the newspaper industry's survival through adoption of disruptive innovations. 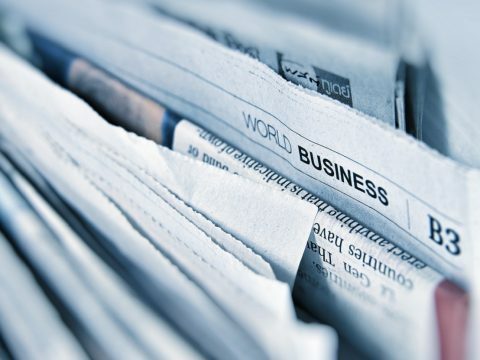 After so many disruptive technologies coming at the newspaper industry and missing, it seemed a bit unlikely that a LISTSERV of items available for sale would all but kill off print journalism. But that’s just how it happened. Indeed, the revolution wasn’t televised … it was classified. Craigslist and the rise of the internet swallowed classified ad revenue, and sent newspapers into a free-fall. Even as leading publishers launched their websites, the news industry’s digital transformation has been rocky, at best. With high hopes that the online editions would increase advertising revenue and help attract new subscribers to the print editions, most newspapers disseminated content freely – literally, for free – making the online editions available to anyone with a computer and a modem. Online-only publishers and digital native apps began changing the way people consume news, and the way people interacted with content. 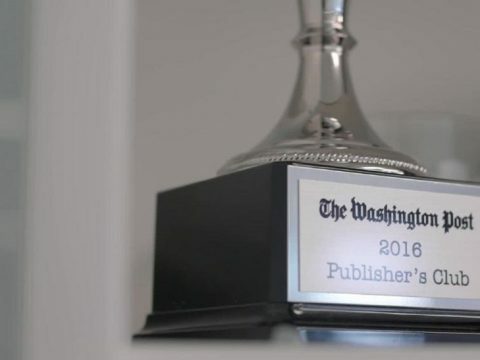 Then in 2013, Amazon CEO Jeff Bezos purchased The Washington Post. 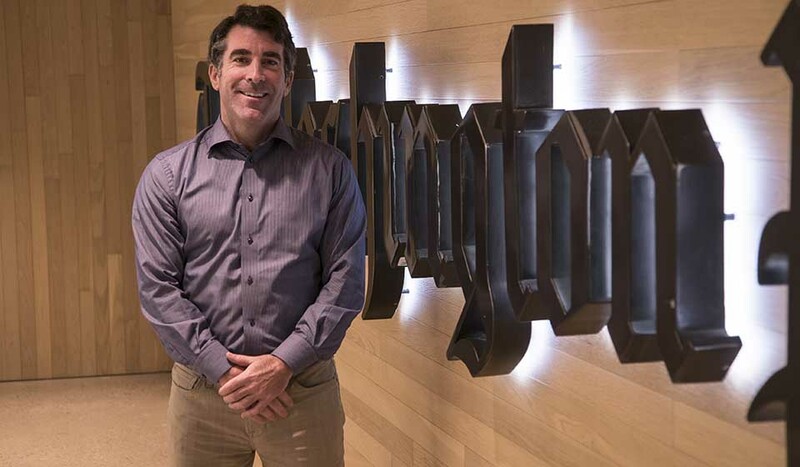 Now, The Washington Post is, according to its Chief Revenue Officer, Jed Hartman, a “tech company that wins Pulitzers.” By embracing technology, including algorithms for A/B headline testing, viral calculators, video pivots and more, The Washington Post is one of the fastest-growing content publishing platforms in the world, jockeying back and forth with The New York Times as the most widely read news websites in the US. So, while the newspaper industry is in a sustained period of disruption, some of the more traditional publishers are proving to be the most innovative. Jay Rosen Teaches journalism at NYU and writes the blog PressThink. Rosen is a former member of the Wikipedia Advisory Board. 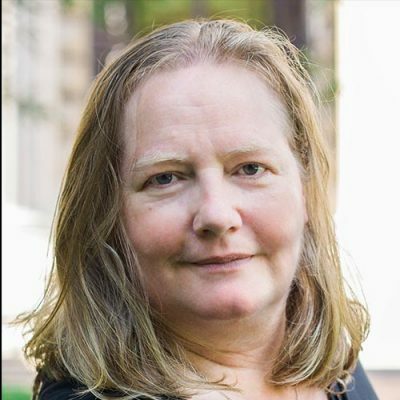 Emily Bell Is the Director of the Tow Center for Digital Journalism at Columbia University and a leading thinker, commentator and strategist on digital journalism. Ira Basen Is a long-time CBC Radio Producer, writer and teacher. Jed Hartman Is the Chief Revenue Officer at The Washington Post. 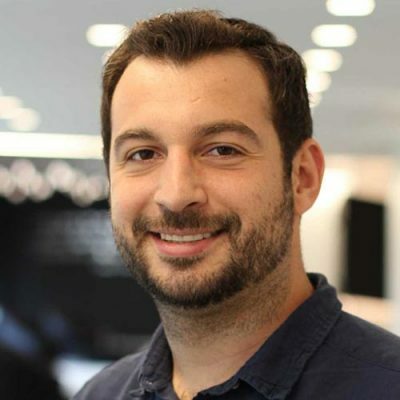 Jarrod Dicker Is the Vice President of Commercial Product & Innovation at The Washington Post. 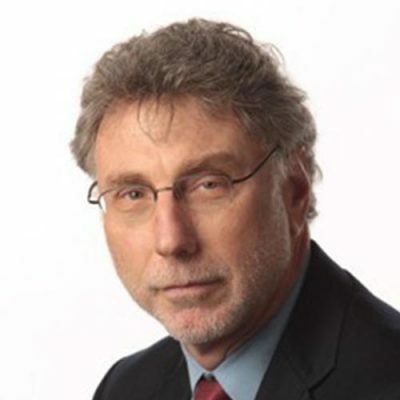 Marty Baron Is the pulitzer prize winning Executive Editor of the Washington Post, and previous editor of The Boston Globe. WALTER ISAACSON: Talk of disruption was everywhere. In New York, the editor of the city’s leading newspaper warned of dark days ahead. Technological change was threatening the viability and perhaps even the continued existence of the newspaper industry. There were predictions that papers and cities all across the country might soon be out of business. In an editorial in his own newspaper, the editor, a man who was seen by many as reinventing the business, warned that a new communications technology might be fatal to newspapers. –the telegraph. It may have been the first big technological change to threaten the newspaper business, but it certainly wasn’t the last. I’m Walter Isaacson, and you’re listening to Trailblazers, an original podcast from Dell Technologies. BOY: Extra! Extra! Read all about it! REPORTER 1: Most of us read a paper every day. REPORTER 2: This reporter is in a hurry, and for a very good reason. He’s going to cover a fire. REPORTER 3: Yeah, I got a hot story here. REPORTER 1: Yes, it’s all here in the papers. REPORTER 4: No other medium can take the place of newspapers in the lives of the people. [MUSIC PLAYING] WALTER ISAACSON: On today’s episode, we’re looking at the i ndustry I grew up in, the world of newspapers. And it’s an industry, as I full well know, that’s seen its share of disruption. Our story starts with the grandfather of modern newspapers, James Gordon Bennett, the passionate newsman who knew how to push the buttons of his readers, often having to defend himself from abuse and even beatings in the street over what he chose to publish. James Gordon Bennett got spooked in the mid-1840s when Samuel Morse sent the first message over telegraph wires. The newspaper business struggled to figure out what it was going to mean for them. To understand his fear, it helps to understand that, back in the 1800s, most newspapers moved at a glacial pace. Few newspapers had correspondents. And many got their news simply by rewriting what had been published in other papers. And then the telegraph arrived. The thought was that telegraph companies would create a monopoly over news delivery, ending newspaper relevance for good. But James Gordon Bennett was something of a visionary. While he was initially worried about the arrival of the telegraph, he soon came to the conclusion that newspapers that didn’t just report news, but also provided analysis and commentary might survive and even prosper. And he quickly realized that the telegraph wasn’t a potential threat, but an opportunity for journalism. Bennett made history the next year when he became the first publisher to use the telegraph to obtain the text of a major political speech. During the Civil War, the “Herald” ran stories from the battlefield, sometimes days before government dispatches about these very same events arrived in Washington. Ira Basen is a Canadian journalist who has created radio documentaries about the history and the future of news. IRA BASEN: What the telegram did was it allowed newspapers to branch out from strictly their local area. So if you were a New York newspaper, you could report on New York, but you didn’t know what was happening in California or let alone the rest of the world. The telegram allowed newspapers to start reporting on news that came from outside of their local area. And so the telegraph didn’t disrupt newspapers as much as they enhanced newspapers. Right? They allowed newspapers to do things that they were never able to do before, to actually report news, and to have a national and even an international perspective. WALTER ISAACSON: Bennett had turned a threat into a tool. And his embrace of what was at first viewed as a disruptive technology paid off. He grew the New York Herald into the largest newspaper in the world. It would become the first mass circulation newspaper. And it was a must-read for politicians and opinion-makers all across the country. In fact, it was the only newspaper Abraham Lincoln read every day. And Bennett is now seen as the father of modern journalism. Fast forward 100 years– by the late 1940s, more Americans had access to education than ever before. And the literacy rate skyrocketed. As a result, the newspaper business was not only competitive, it was cutthroat. In New York alone, there were more than a dozen newspapers. Even smaller cities often had five or six. Into that already competitive environment came another technological change that would disrupt the newspaper business, not to mention every other type of media, for decades to come. It was called television. TV ANNOUNCER 1: Eyewitness, a tour behind the scenes in television. WALTER ISAACSON: The late 1940s ushered in the golden age of television. In those early days, television was a different beast than it is today. There was no way to record programming in advance, so dramas were broadcast live. The newspaper business didn’t seem particularly worried, as television networks filled their schedules with dramatic programming like Kraft Television Theater, The Philco Television Playhouse, and the Chevrolet Tele-Theatre. However, in 1948, things changed with the launch of the first network TV newscast. REPORTER 5: American engineering genius for mass productions, getting things done in a hurry. WALTER ISAACSON: It was 15 minutes long and leaned heavily on newsreel companies for footage. Feeling confident in their role in delivering the news, the newspaper business didn’t see this young upstart as a threat and was largely dismissive of television. It probably didn’t seem like it at the time, but the turning point, the defining moment that may have set the stage for how TV would transform the news business happened just one year later. April 8th, 1949, when three-year-old little Kathy Fiscus, along with her sister Barbara and her cousin Gus, were playing together in a vacant lot. And somewhere, in the middle of all this playing, Kathy disappeared. Her screams could be heard by the other kids, but it wasn’t until they found the opening in a rusty old abandoned well that they realized what had happened. Little Kathy Fiscus had fallen in. It was a seminal moment for live news coverage. And for 28 hours straight, local Los Angeles station KTLA kept reporters on the scene as rescuers worked frantically to save the toddler. This was long before the days of satellite news trucks and the ability to broadcast wherever and whenever news happened. Instead, an incredibly primitive network hookup allowed the story to be shared with other stations in the West, and later, others nationwide. Soon, the whole country was transfixed. A telephone operator at a newspaper in Salt Lake City reported a torrent of calls from concerned citizens all looking for news about the three-year-old. In the end, little Kathy Fiscus died before she could be rescued. But the potential of television as a medium for live news was now clear. LA newspaper reporter Will Fowler might have said it best. “This was the first time that the cathode ray tube had out-and-out scooped the newspapers. There was no argument, not even a rebuttal.” TV had changed how people were consuming news. Journalist Ira Basen. IRA BASEN: By the mid-1960s, you see polls showing that more people got their news from television than from newspapers. TV ANNOUNCER 2: When the decisions of one man can affect the future of your family for generations to come, what kind of a man do you want making those decisions? IRA BASEN: And 1968, the Nixon campaign of 1968, which was, you know, chronicled brilliantly in the book, “The Selling of The President,” that was the first television campaign. And every election since then has been a television campaign. TV ANNOUNCER 2: Nixon’s the one. WALTER ISAACSON: As newspapers adapted to compete with TV, they got bigger. They added entire new sections– food, garden, cars, entertainment, lifestyle. The arrival of television hadn’t wiped out the newspaper business. It had forced it to transform. IRA BASEN: Television disrupted the way news was covered in a variety of ways, but it certainly didn’t eat into the circulation or the profits of newspapers. I think that would be a real hard case to make to say that television disrupted the newspaper industry. Again, it changed it in the way the telegrams changed newspapers. In most cities, newspaper publishers enjoyed a near monopoly. And like most monopolies, it was a very lucrative business. Advances in print technology in the 1960s such as lighter and cheaper presses allowed newspapers to cut their print staff in half. By the 1990s, there were few efficiencies left to find through advances in technology. And some newspapers started cutting journalists in order to boost their profit margins. As a result, the quality of the end product began to diminish, which in hindsight couldn’t have happened at a worst time, because just around the corner, a tsunami of disruptive technological change was about to sweep over the entire industry. By the mid-1990s, the internet was moving off of university campuses and elite research centers into the mainstream. The launch of Netscape Navigator, the world’s first commercial web browser, in 1994 is seen by many as the moment that digital journalism was born. I remember when Jim Clark and Marc Andreessen, the two people who were trying to take the Netscape browser and turn it into a commercial product, came to the top floor of the Time-Life building. They tried to enlist us and other newspapers and magazines into being part of what they called “the worldwide web experience.” We were a little bit reluctant. We didn’t quite know who owned the web. How would you make money off of the web? Who would control it? And so newspapers were sometimes a bit slow to get off the mark and into the new digital revolution. Salon launched in 1995. And it was America’s first big online-only publication. In the next 20 years, many more would follow, from aggregators like the Drudge Report, the Huffington Post, to Buzzfeed. There seemed to be no end to the steady stream of new entrants who were intent on disrupting the traditional newspaper business. But the biggest change ended up being how content itself was being published. Emily Bell is a director of the Tow Centre for Digital Journalism at Columbia University. EMILY BELL: Facebook, YouTube, and lastly, applications like Twitter and Snapchat were all about enabling the world to publish. And oddly, the publishing profession was much more about, how do we keep our websites for us, the professional journalists. So over the last 10 years, what’s happened is that people’s desire to create and share pictures of their children and information about local events has turned into, really, a sort of most of the world, communicating on platforms that sit outside traditional media. And journalism and publishing houses have found that if they want to find audiences, they have to migrate what they do onto what we call the social web. WALTER ISAACSON: And in that context, it’s easy to put the blame for the decline of the newspaper industry on the new digital competitors. But the body blow to the newspaper industry might have been delivered not by these digital upstarts, but by a short, balding, former IBM systems engineer from Morristown, New Jersey. He dove headfirst into the open source movement. And in 1995, he started an email list with job listings and apartments for rent. It had maybe a dozen people on it at first. But the list kept growing. So he moved it to a listserv, which is an automated email list. And at that point, he needed a name for it. He decided to keep it simple. He called it Craigslist. But according to Ira Basen, Craig Newmark didn’t set out to destroy the newspaper industry. IRA BASEN: He’s a very kind of public-spirited guy. He’s not somebody who saw a huge revenue potential in this. He just thought that that would be a good thing to do, that if you had a coach for sale, then you don’t have to pay a newspaper to advertise that couch. You could just put online. And all the other people who were online would be able to find that couch. It was a great kind of democratizer and allowed people who couldn’t afford to place classified ads to be able to sell stuff. WALTER ISAACSON: But even if he didn’t set out to harm the newspaper business, it’s hard to overstate the impact that Craig Newmark and Craigslist had. You see, classified ads had grown and grown to the point that they were responsible for up to 50% of the revenue of some big city newspapers. Revenue from newspaper classified ads peaked at $16 billion in 2005. Only four years later, it was less than a third of that, thanks largely to the convenience, reach, and $0 costs of Craigslist. And it wasn’t just classified ad revenue that was falling. In 2009, the circulation of daily newspapers in the United States fell by 10% in a single year. And then the unthinkable happened. Iconic American newspapers began to close. The Rocky Mountain News in Denver was shuttered. The Seattle Post-Intelligencer shut down presses and went online-only. The Detroit Free Press and the Detroit News cut home delivery to three days a week. Then came the bankruptcies of the major newspaper chains– the Tribune Company, the Sun-Times Media Group. America’s third largest newspaper chain, the McClatchy Company, bought Knight-Ridder, one of the largest newspaper chains in the US, in 2005. They were the only bidder. Since then, McClatchy’s stock has lost more than 98% of its value. Any way you look at it, for the newspaper business, the past two decades have been brutal. 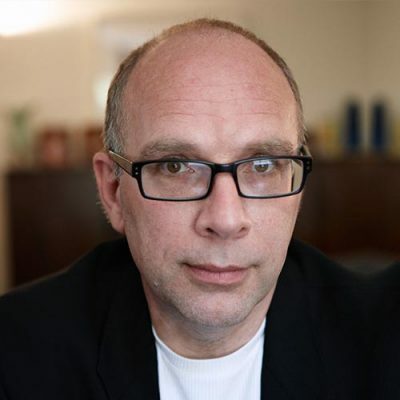 JAY ROSEN: Most of the major news companies have seen the majority of their users now coming from mobile. And yet their own sites on mobile don’t work very well. They don’t load quickly. They often don’t look very good. And so what’s happening is that Facebook is becoming the mobile interface of choice for users. And as a result, they get news, but they get it through Facebook and other programs like it. And as a result, other publishers have to fit themselves into the Facebook universe. EMILY BELL: So the Facebook like is very powerful. The sharing of something on YouTube is very powerful. Putting a link on Twitter is very powerful. And it uses those network effects to really grow audiences. And we’ve fallen into almost kind of worse than, if you like, the control issues around Facebook being the key point for news consumption for about 40% of American adults now. 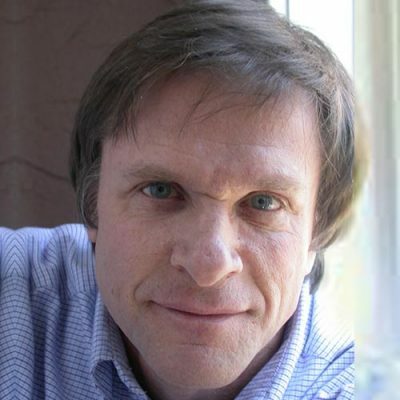 IRA BASEN: So there is one figure that I saw that said that for every dollar that newspapers were gaining in digital advertising, they were losing $17 in print advertising. So that’s a huge swing that, really, they’ve never been able to figure out a way to compensate for that. WALTER ISAACSON: According to Emily Bell, newspapers just didn’t see it coming. EMILY BELL: In the early days of the web, we massively underestimated audiences. And we massively overestimated the revenue that would come from them. We just didn’t foresee this world of immense scale funded by really, really, sort of micro-levels of funding attaching to each piece as it’s shared. WALTER ISAACSON: As content sharing has taken off, what revenue has been generated has mostly come from advertising. But there is another option. Back in 2009, I wrote a cover story for “Time” magazine proposing that micro-payments and small payments might help save local newspapers. I find it odd that we live in a world where phone companies have conditioned kids to paying up to $0.20 when they send a text message, but it seems technologically and psychologically impossible to get people to pay a dime or $1 for a magazine, or a newspaper, or a newscast. But clearly, someone has to pay for content. When I was a boy, I used to go fishing in the bayous of Louisiana. My friend Thomas would sometimes steal ice from those machines outside of gas stations. He had the theory that ice should be free. We didn’t spend a lot of time thinking about who would make the ice if it were free. It’s the same with news. Those who believed that all content should be free should reflect on who will report from Syria, or open a bureau in Africa. Nearly 10 years after I made the case for micro-payments, it remains slow to take off. But finally, newspapers like the New York Times are starting to get traction with a digital subscription model. But the big clue to the future of newspapers just might lie with the unlikely marriage of one of America’s most storied and iconic newspapers and one of the world’s most successful tech entrepreneurs. In 2013, Amazon CEO Jeff Bezos bought the Washington Post for $250 million. Bezos had no experience running a newspaper. “The Washington Post” was a legacy paper whose glory days had been decades earlier. But Bezos had a promise– to reinvent the storied newspaper as not only a media company, but also a technology company. 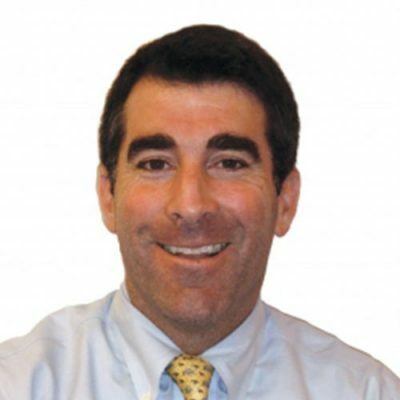 Jed Hartman is the Washington Post’s chief revenue officer. JED HARTMAN: We are a journalistic company that is awesome at engineering or we are an engineering company that wins Pulitzers. I’m comfortable with looking at it either way. Certainly, I imagine our newsroom would say journalism first. And I think that’s fair. I think we are. But nothing would ever compromise our journalism. That is the most important thing. But boy, have the engineers become weaved into the fabric of how the journalists work. They’re embedded in the newsroom. And they help the journalists to tell stories, not using journalism, but using code, to make them more interesting, more engaging, and more unique. WALTER ISAACSON: And while other newspapers have been laying off staff, the Washington Post has been hiring. Last year, I spoke to my friend Marty Baron, the Post’s great editor, at an Aspen Institute event about what it’s like to work for Jeff Bezos. MARTY BARON: I think the areas of investment for him have been our newsroom, editorial resources. And we’ve grown by about 150 people in our newsroom since he acquired us 2 1/2 years ago. And he’s invested in our technology. He’s a great believer that we have to absolutely be at the forefront of technology, that we have to be very much in control of our technology because things are changing so fast. So if we want to do something, we want to do something different, we need to be able to do it ourselves. WALTER ISAACSON: Jed Hartman has noticed a real shift in the culture at the Post. JED HARTMAN: We’re not afraid to fail. We can try more. And then when something works, we double down. So before we hit, like, tactical tech of what works, it’s sort of that culture around experimentation and technology that is foundational to our success. We keep trying things. Not everything works. But when something works, we double down fast. If something doesn’t work, there’s no penalty. And that’s also not normal, perhaps specifically in the old-school newspaper world, where if you experiment, it doesn’t work, someone’s in trouble. WALTER ISAACSON: So how’s it going? The initial signs are positive. The engineering team at the Post has tripled in the past two years. And the Post is taking a more data-driven approach. The Post’s chief revenue officer, Jed Hartman. JED HARTMAN: From our own product perspective, we’ll utilize personalization engines to make sure we’re personalizing the experience, so your Washington Post is a little different from my Washington Post. Therefore, you’d have a better, more appropriate, more relevant experience for you. We might use many, many headlines for one story and have an algorithm decide which is the best headline and then go towards that. That could be worth hundreds of thousands or a million page views, just because the right headline was used. We have a viral predictor. So if a story is out there, we have an algorithm that will pre dict if it will go viral. And what that means is we can reshape the hierarchy of our website. We can add slideshows or page views or other stories about that, so when it does go viral, we become a source for Google, for Facebook, and for others, when a lot of other products are simply trying to scramble when a story becomes viral. WALTER ISAACSON: But that’s not all. The technology company side of the Post is also hard at work on delivering pieces of technology that will help them, and perhaps the whole industry, do what they’ve been doing for a century, but even better. Jarrod Dicker is the director of ad product and engineering at the Post. WALTER ISAACSON: And if you look at the early indicators, it looks like it’s paying off. In late 2015, the Post surpassed The New York Times in unique visitors. And they’ve been jockeying back and forth ever since. And for Jed Hartman, the success is a direct result of finding the magic balance between content and technology. JED HARTMAN: It’s a little bit cheesy, but content is king. Distribution or platforms are queen. And the queen is probably in charge. So you have to be great at both. You have to be great at both. The Washington Post is better at tech and engineering than other content companies. And we’re better at content than other engineering companies. And that’s the sweet spot of the Post that has helped us become the fastest growing content-producing website in the world. WALTER ISAACSON: Will Jeff Bezos create a new business model for newspapers and lead the Washington Post and the entire newspaper industry out of its present slump? Can he help the newspaper business adapt and change and come out stronger, just like it did after the technological disruption of the telegraph and television? The Post’s editor Marty Baron says it may be a little bit too soon to tell. MARTY BARON: We don’t know exactly what the business model for media is going to be. All of us are experimenting with new things and new ways. We’re trying a lot of things. Nobody can say today– at least, I don’t think there’s anybody who can say today, this is what the future of media is going to be. This is the model that’s going to exist. And there are going to be a wide variety of models out there depending on what kind of media institution you are. WALTER ISAACSON: Jeff Bezos is betting that the model he’s developed at the Washington Post is what’s going to save the paper from the disruption of the internet. But maybe, just maybe, there is some other new technology waiting just around the corner about to disrupt the news business yet again. I’m Walter Isaacson. And you’ve been listening to “Trailblazers,” an original podcast from Dell Technologies. As with most tales of digital disruption, there’s more to the story. Today, newspapers are figuring out how to play nice, or not, with news aggregators like Facebook Instant Articles, while remaining profitable. How they’re doing it has less to do with disseminating information and more to do with collecting it, about you. In journalists’ terms, you can get the inside scoop at delltechnologies.com/trailblazers5. That’s Trailblazers, then the number 5. Next episode, we’ll be looking at the world of the hospitality industry and how big hotel chains are fighting back against the disruption of sites like Airbnb. You can subscribe to “Trailblazers” at Apple Podcasts, or wherever you get your podcasts. And if you like it, please leave us a rating and a review. It helps new listeners discover our show. Thanks for listening. The serious innovation behind serious fun. Jarrod Dicker, head of The Washington Post’s RED team explains how the publisher is using digital technology and data to create a personalized product. Facing a sustained period of digital disruption, some of the more traditional publishers are now proving to be the most innovative, using data analytics.